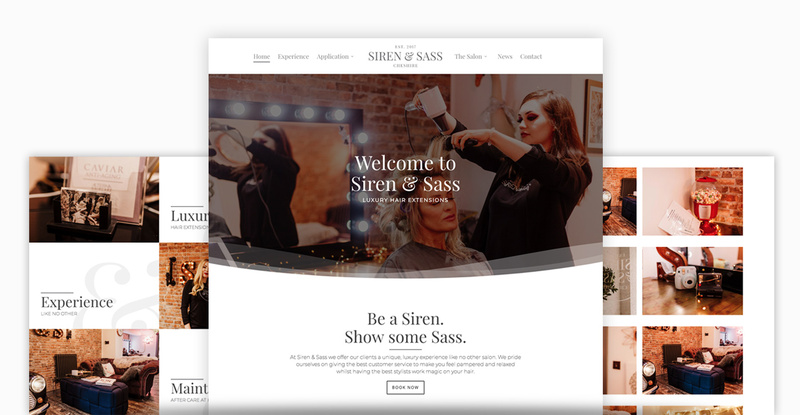 Siren & Sass are a luxury hair salon in Cheshire. As part of our web design Manchester offering, Designers Up North were commissioned to redesign their website to showcase their beautiful rebrand and salon interior. 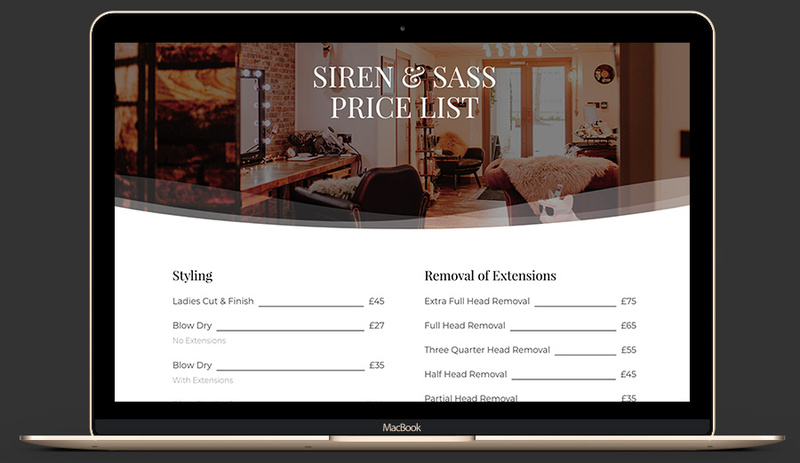 With a beautiful new logo and an incredible salon fit out, Siren & Sass were eager to complete the final part of the puzzle - Their digital branding and online presence. Each page of the new website has been optimised for keywords we know are being searched for. Whilst their reputation builds locally, a PPC campaign is being run to generate initial enquiries. As part of the brief, we commissioned Rachel Burt, a professional photographer, to provide us with authentic visuals. These beautiful photographs give a genuine and honest view of this exciting new business and help avoid the pitfalls of generic stock images.